Inspired by the authentic art of Katagami, the Boro quilt, designed by Cheryl A. Adam for Coats and Free Spirit uses the beautiful Katagami fabric collection by Parson Gray (Free Spirit). 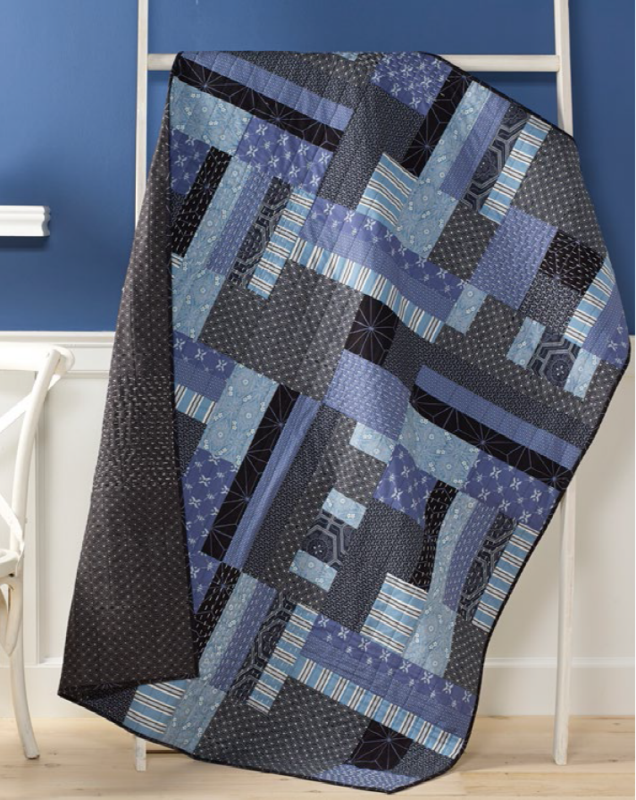 This will be a great weekend project if you're machine quilting it, enjoy! Editor's Note: The link below will not directly download you the pattern. We normally don't feature projects that require you to become a member or sign up for something, but we decided to do so in this case. The process is relatively painless, but after you log in you may need to go back to the original project link to get to the download. It is disappointing to see a company like Coats 'going corporate' with this approach instead of just offering the free downloads like other premier companies in the industry. To the team at Coats, we invite you to adopt the spirit of the internet and share your projects with no strings attached. In any case, keep up the great work, this is a wonderful project!